I was feeling a little crafty with food, the other night, when we had some friends over for dinner and I had a giant bag of olives from Costco. I wanted to make something Halloween-ish but everything I found on Pinterest was desserts and baked goods. Well, I did it! 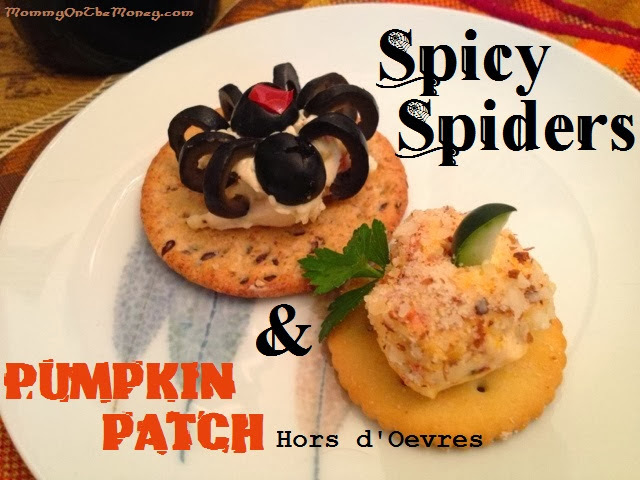 I made savory hors d'oeuvres that look like Black Widows and little pumpkins out of cream cheese. Check out the tutorial on my other blog, HERE.